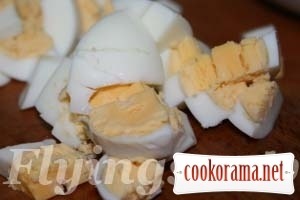 Boil and clean eggs and fish. Chop eggs. 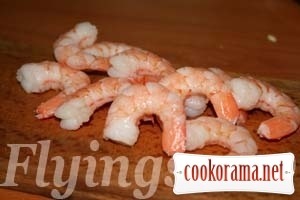 Cut shrimps along. Peel cucumber and cut into lengthwise slices. Mix all and sprinkle with lemon juice. 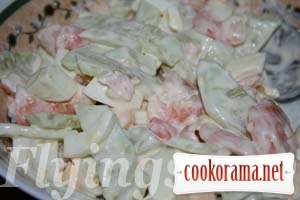 Top of recipe "Salad "Light""
Салати — це прикольно! І для здоров«я користь. ( особливо без майонезу). 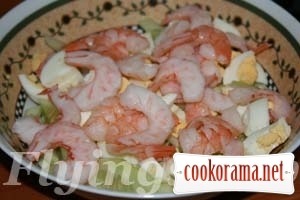 Recipes, Blog by Flyingsnow, Salad "Light"